We spoke to Kelly, a fearless Carrotmobber paving the way in Hendersonville, North Carolina about her experience organizing campaigns and got her top tips for attracting a big crowd. Q: What was it about Carrotmob in particular that inspired you? A: The positive nature of the movement. Everyone comes out happy, unlike many existing environmental movements. 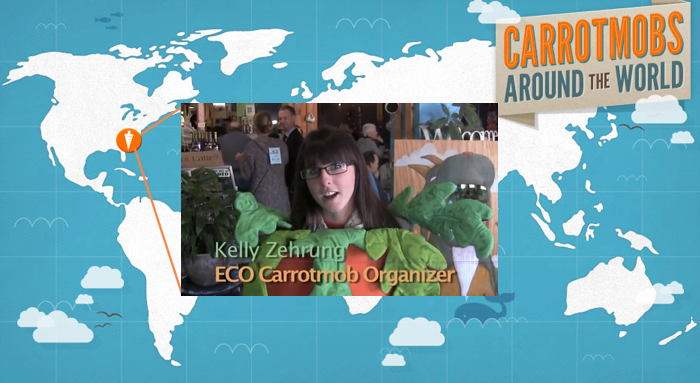 I believe in turning the attitude toward environmentalism around to be less political and more positive, and Carrotmob does this very successfully. 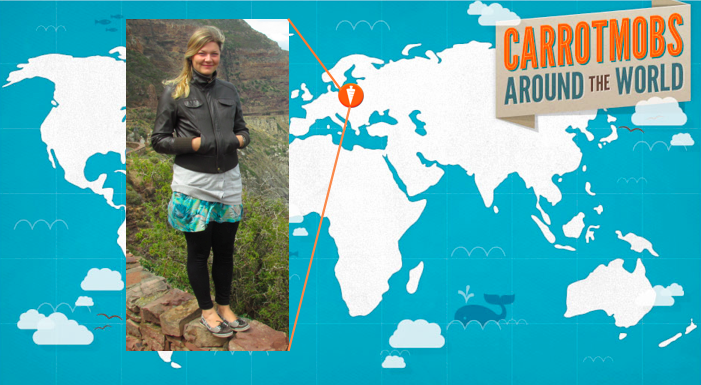 A: I Carrotmob because I want to change my community for the better, especially to create environmental sustainability. Q: What's your secret for getting such a big crowd of people to attend? Q: Reaching out in multiple different directions. If people hear about it more than once, they are more likely to take it seriously and make an attempt to attend. It helped A LOT that we were organizing through an environmental organization with a very supportive base of members, volunteers, and supporters. Q: What's your favorite part of a campaign? A: My favorite part of the first campaign was the middle of the event when I realized it was going to be successful. I loved seeing the press coverage and positive feedback after the event, as well. Q: Plans for this year? A: We loved this model so much, because it fit so well with our community, we decided to keep it rolling business-to-business. Keep an eye out for us!